However, history will show us that this couldn’t be farther from the truth. Here are some great examples of authors who proved that you don’t need a publishing house to be a hit, all you need is a good story. The critically-acclaimed Matt Damon blockbuster that grossed $630,000,000 dollars started out as an Amazon eBook that was available for 99 cents. Andy Weir was the son of a particle physicist with a dream of writing a realistic SciFi / Thriller novel. After being rejected numerous times by literary agents, Weir finally decided to publish the each chapter as a serial on his website. He later consolidated all of the chapters as one book on Amazon, and before he knew it, it took off as a Kindle bestseller. 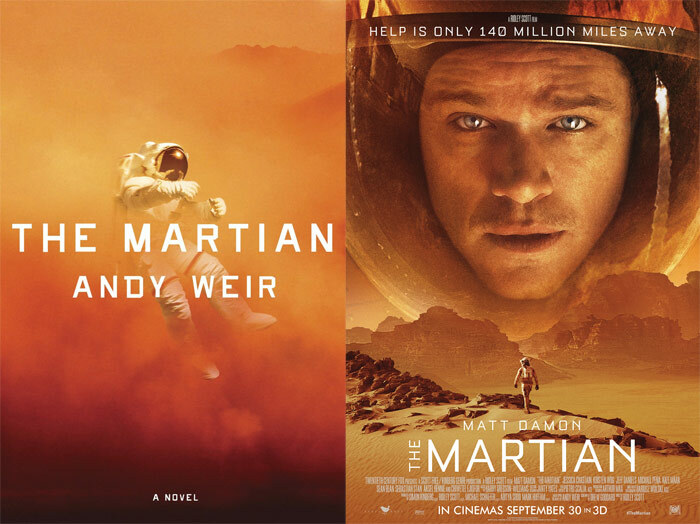 Random House subsidiary Crown Publishing quickly acquired rights for The Martian, and the book quickly landed on The New York Times Bestseller List. The feature film — produced by 20th Century Fox and helmed by SciFi legend Ridley Scott (Alien) — later won a Golden Globe Award. How’s that for an underdog story? Before he was producing hit shows like Spartacus: Blood and Sand and The Blacklist, Daniel Knauf was an aspiring writer working as a health insurance broker. Taking inspiration from his disabled father, Knauf churned out a feature-length script called Carnivale — which was met with near unanimous rejection. Knauf was forced to shelve it for almost a decade, continuing with his day-job in the meantime. Tired of working in insurance, Knauf decided to self publish Carnivale on his website, this time as a potential television pilot. The script managed to get the attention of HBO, and quickly turned into one of the cable channel’s most ambitious and expensive shows (this was before Game of Thrones and the era of premium programming). While Carnivale only lasted two seasons, the show is still fondly remembered and launched Knauf’s career in entertainment, during which he has served as a writer and producer on a number of titles. If Stephen King wrote Hitchhiker’s Guide to the Galaxy, you would get something similar to John Dies at the End. Jason Pargin, writer for popular humor website Cracked, began to write John Dies under the pseudonym David Wong. John Dies began as a serialized story on his website, and each chapter read like a self-contained, nail-bitingly suspenseful episode filled with wit, juvenile humour, and bone chilling horror. The John Dies chapters began to amass a huge following, and was quickly acquired by Saint Martin’s Press. The book was eventually made into a movie, featuring Paul Giamatti, Clancy Brown (also in Carnivale), and Doug Jones. While the movie was met with mixed reception and low box office returns, David Wong has continued to write and release novels revolving around the characters from John Dies, as well as his SciFi book Futuristic Violence and Fancy Suits. Last but not least, it’s encouraging to remember that self-publishing success is not exclusive to the internet age. In ye olde year of 1990, back in the 20th Century, Beatrix Potter tired to submit The TAle of Peter Rabbit to numerous publishers, only to be turned down. Many publishers thought that Potter’s black and white illustrations were too old fashioned, and didn’t like her style in general. Potter self-published 250 copies of the book, one of which reached her friend and poet Hardwick Rawnsley. Rawnsley managed to forward the manuscript to publishing house Frederick Warne & Co.
Warne’s chief condition was that Beatrix allow her illustrations to be colored, which was initially resisted as she thought rabbits were not good subjects for colorization. Eventually she was swayed, and Peter Rabbit received a second run, then another, and another, until it became a timeless children’s book classic. And (in the style of Seussian works) an animated blockbuster movie.